We live our conviction: Health should be also fun! 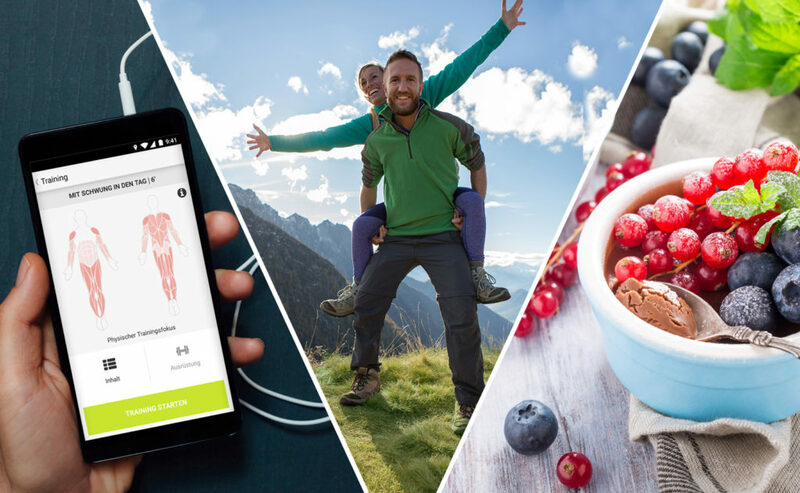 By the end of 2014 we started to develop our core offer with the design of the go4health app, based on the triad of movement, nutrition and mental health. – your personal coach throughout the day. The team is made up of highly motivated and creative heads, each of them being an expert in one’s own field. Individual characters with a high level of expertise (sports, nutrition, content and digitization, media expertise). We offer custom-made business solutions for companies in the field of health management as well as white-label-solutions. Any questions left? Please feel free to contact us! If you would like to receive our newsletter, please enter your email address in the box provided at the bottom of this page! Register for our weekly newsletter! Get some practical recommendations and tricks from our experts relating to current health trends in the fields of movement, nutrition and mental health. In unserer Datenschutzerklärung informieren wir dich über die Aufzeichnung deiner Newsletteranmeldung, den Versand über den Dienstleister MailChimp, unserer statistischen Auswertungen sowie die Möglichkeit der Abbestellung des Newsletters durch dich persönlich.